What does it mean if you're told you have early stage lung cancer? What are common symptoms and what tests are done? What are the best treatments and what is your prognosis? While you're probably feeling very frightened and overwhelmed with your diagnosis, it's important to realize that the treatments for lung cancer are getting better, and survival rates are improving. And since much of the advances in treatment have taken place in just the last few years, it's important not to despair over stories people may share with you when they hear of your diagnosis. Your doctor may have mentioned that you have "early stage lung cancer" or you may have read about treatments for "early stage" lung cancer but what does this mean? What stages are considered early? In general, the difference often alluded to in describing lung cancer as early stage or advanced stage is that with early stage lung cancer, surgery may be an option for curing the disease. In other words, the goal of treatment is often "curative," rather than "palliative" which instead focuses on prolonging life and reducing symptoms but not curing the cancer. The stages that are considered early stage depend on the particular cancer types. Small cell lung cancer is the second most common type of lung cancer and is broken down into only 2 types, limited an extensive. If you are wondering whether or not something you hear about “early stage lung cancer” applies to your particular situation, share your questions with your oncologist. Early on, early stage lung cancer may not have any symptoms. These cancers may be found on lung cancer screening or found "incidentally" when a scan is done for another reason. When lung cancer symptoms are present, they may include a chronic cough, coughing up blood, shortness of breath, or just not feeling well. In recent years, the symptoms of lung cancer have been changing, and like heart disease, the symptoms of lung cancer in women may differ from those in men. With lung adenocarcinoma - a type of cancer found more commonly in women, young adults, and non-smokers - the tumors often grow in the outer regions of the lungs away from the large airways. For this reason, people with these cancers may not have "typical" symptoms like coughing, but instead often note vague symptoms, such as decreased exercise tolerance. 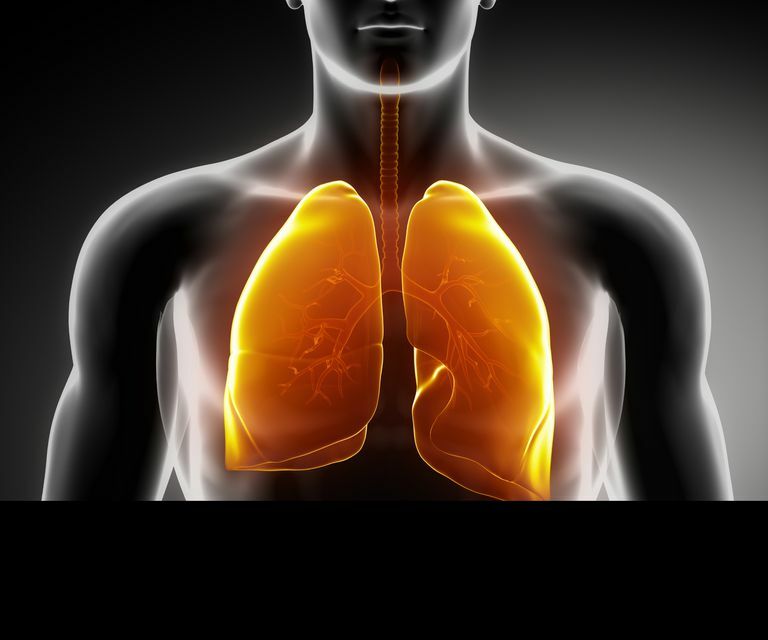 There are several tests and procedures used to diagnose lung cancer. Imaging tests such as a CT scan may be done to visualize the tumor and to look for the spread of a tumor to other regions of the body. A lung biopsy is usually performed in order to confirm the diagnosis and determine the type of cancer. It's important that everyone with lung adenocarcinoma, and ideally all lung cancers, has molecular profiling done on their tumor. If this does not sound familiar, talk to your oncologist about this testing. With early stage lung cancer, local treatment is often done with a curative intent - the goal being to cure the disease. With very early stage lung cancer, local therapy with surgery or radiation therapy (such as SBRT) may be all that is needed. Systemic therapy is often done in addition to surgery for early stage lung cancer. When this is the case, imaging studies may not show any evidence of spread, but they are used in case any cancer cells have spread. We know that early stage lung cancers commonly recur, and this recurrence is thought to be due to these metastasized - yet undetectable - cells. Surgery: Surgery is often the treatment of choice for early-stage lung cancer. There are several different types of surgery which may be done, depending on the size and location of your tumor. Surgery may be done through a large chest incision, but is increasingly being done in a less invasive procedure called video-assisted thoracoscopic surgery (VATS.) Not all surgeons perform this procedure. In addition, there are some tumors that cannot be accessed well with this method. Since outcomes from surgery have been found to be better when performed at cancer centers which do larger volumes of these surgeries, you may wish to visit, or at least have a second opinion at one of the larger National Cancer Institute-designated cancer centers. Radiation therapy/SBRT: Radiation therapy may be done after surgery as an adjuvant treatment. For tumors that are early stage, but inoperable for some reason, stereotactic body radiotherapy (SBRT), also known as "cyberknife" may be done with a curative intent. Studies have found that in people who are good candidates for this treatment, the results can be similar to those from surgery. Chemotherapy: Chemotherapy for lung cancer may be used after surgery as an adjuvant treatment. Used in this way, chemotherapy is designed to attack any cancer cells which may have spread beyond your tumor, but cannot yet be detected by imaging tests that we have. Targeted therapy: Molecular profiling will let your oncologist know if you have any gene mutations or rearrangements that are "targetable." In other words, if there is a medication that has been approved or is in a clinical trial which "targets" a specific genetic change in your tumor. These treatments are allowing oncologists to treat cancers much more precisely, via what has been termed "precision medicine." Immunotherapy: Immunotherapy is an exciting new type of cancer treatment with the first drug in this class having been approved in 2015 for lung cancer. It works by assisting your own immune system in recognizing and attacking cancer cells in your body. Being diagnosed with lung cancer is terrifying whether it is early stage or advanced stage. If you have recently learned that you or a loved one have lung cancer, check out these first steps to follow when you are newly diagnosed with lung cancer. Living with lung cancer takes a village. Patients are working much more closely with oncologists in a way that has now been coined "shared decision making." But how can you learn enough about your cancer to make these important decisions? Here are some tips on how to research your cancer online, as well as how to be your own advocate in your health care. I don't have study results to back it up, but my "gut" tells me that those people who do the best with lung cancer are those who have the most support and connections. There is a very active lung cancer community - a place where you can both get support and learn about your particular type of cancer. Check out this information about online lung cancer support groups and communities for tips on how to begin getting connected. If it is your loved one who has been diagnosed, you are probably feeling frightened as well, and in addition, have to cope with the feelings of helplessness that go with cancer caregiving. This article on "when your loved one has lung cancer" talks about what lung cancer patients have wished their friends and families knew about living with the disease. It's also important to make sure you take care of yourself. Check out these tips on caring for yourself as a caregiver. Dziedzic, D., and T. Orlowski. The Role of VATS in Lung Cancer Surgery: Current Status and Prospects for Development. Minimally Invasive Surgery. 2015. 2015:938430. Eberhardt, W., De Ruysscher, D., and W. Weder. 2nd ESMO Consensus Conference in Lung Cancer: locally advanced stage III non-small-cell lung cancer. Annals of Oncology. 2015. 26(8):1573-88. White, A., and S. Swanson. Surgery versus stereotactic ablative radiotherapy (SABR) for early-stage non-small cell lung cancer: less is not more. Journal of Thoracic Disease. 2016. 8(Suppl 4):S399-405.